Two separate units on over two acres in the unincorporated City of Lakeview/Nuevo. Seller May carry with at least 30% down. Both units are currently rented to separate, long term tenants. Units are permitted, on permanent foundations, and in good condition. The larger of the 2 homes is a doublewide, 4 bedroom, 3 bath, with a 3-car detached garage on 1 acre. The smaller home is a single wide, 2 bedroom, 2 bath with 2-car detached garage on 1 acre. 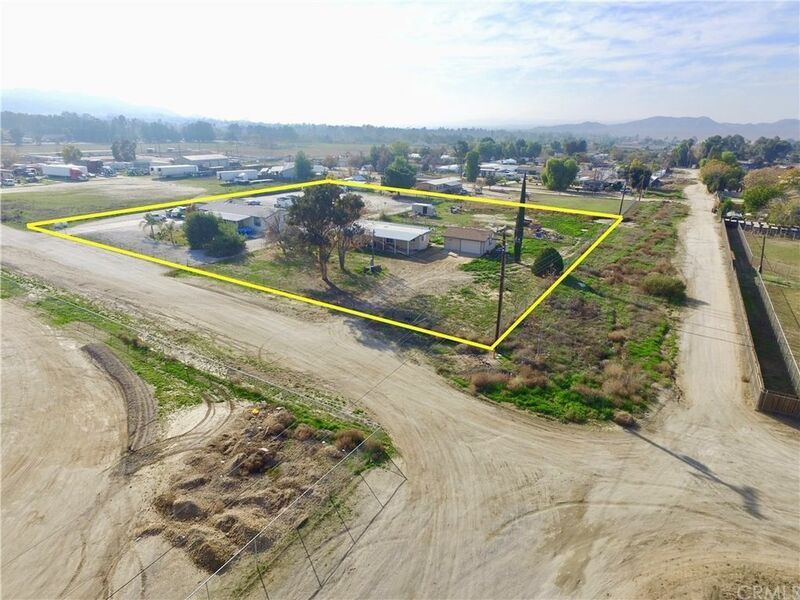 Parcel is fenced and also crossed fenced to give each home approximately 1 acre for horses, animals, vehicles, parties, outbuildings, or growing. Each unit has separate electric meter, propane, and septic. Magnolia is only one block from Hansen Ave. for easy access to the Ramona Expressway to the I-215 or the realigned 79 Hwy. Great family location. Close to schools. Val Verde Union District and Nuview Elementary. Val Verde High School on Nuevo Rd and Perris Blvd. Walmart, Stater Bros., corner gas stations, Cinemas, restaurants and more. Huge Lowes and Ross Distribution Centers on Nuevo Rd., just before the I-215. New commercial and industrial planned for the community. Employment and housing in high demand for all the new construction. New housing tracts, new schools and parks are planned and approved for the Lakeview/Nuevo community. Residential Income properties with large lots are becoming rare in the area. Great Investment! Riverside County, the fastest growing County in Southern California. Directions: Ramona Expressway to Right on Hansen Ave., Right on Brown Ave. to Magnolia Ave. Subj. on SW Corner.